SAN FRANCISCO—Chief Justice Tani G. Cantil-Sakauye today announced the appointment of five Judicial Council members, 30 members of the newly established Trial Court Budget Advisory Committee, and 12 members to a new Task Force on Trial Court Fiscal Accountability. 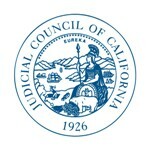 The five Judicial Council members include three new members: San Diego Superior Court Judge David M. Rubin, Inyo Superior Court Presiding Judge Dean T. Stout, and Charlene Ynson, Court Administrator/Clerk of the Fifth District Court of Appeal. Their three-year terms begin September 15, 2013; Judge Rubin and Judge Stout will be voting members. Two current Judicial Council members—San Diego Superior Court Judge Kenneth K. So and Santa Barbara Superior Court Judge James E. Herman—will become advisory, non-voting members for three years when their current terms end in September. Sacramento Superior Court Presiding Judge Laurie M. Earl will chair the newly created Trial Court Budget Advisory Committee, which consists of 15 presiding judges and 15 court executives. As part of its restructuring, the council decided at its business meeting on April 25 that the Trial Court Budget Advisory Committee would become a standing council advisory committee. The committee will begin work on July 1. Its overall responsibility is to provide input on the trial court budget process and to propose recommendations to the Judicial Council on trial court funding consistent with council goals. Judge Earl currently serves as chair of the Trial Court Presiding Judges Advisory Committee and this last year led a budget subcommittee that helped create a new equitable funding methodology for the trial courts. The new Task Force on Trial Court Fiscal Accountability will build on the considerable work of the Trial Court Funding Workgroup, which was created by the Chief Justice and Governor Jerry Brown to evaluate progress on state trial court funding. Chaired by Santa Clara Superior Court Presiding Judge Brian Walsh, the task force will focus on implementing the recommendations of the Funding Workgroup and furthering the work initiated by Judge Earl’s budget subcommittee. The task force will review and recommend to the Judicial Council the adoption of uniform standards and procedures and operational efficiencies consistent with the goals of the Lockyer-Isenberg Trial Court Funding Act of 1997.